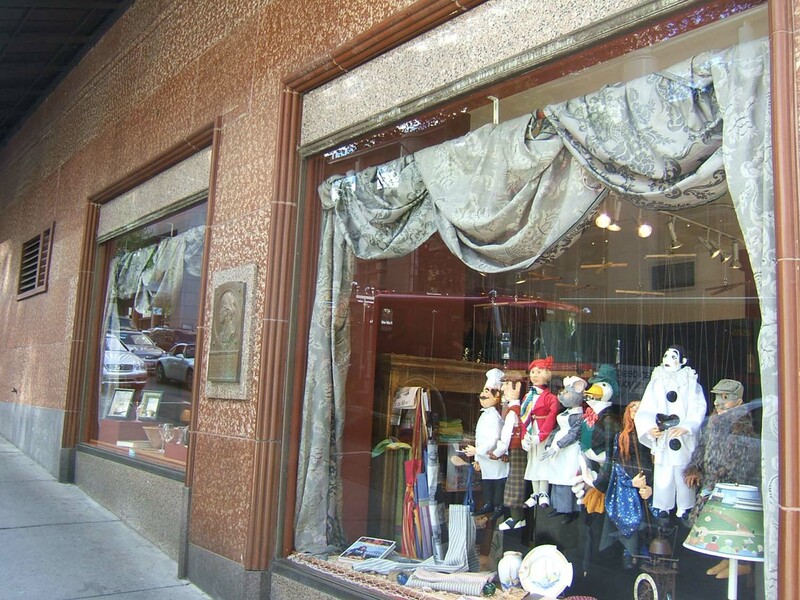 This property is directly associated with the early twentieth century era (1920-1930) when the modern downtown commercial district was fully established as additional commercial buildings were built. The economic prosperity of the 1920s stimulated the development of numerous major highrise commercial buildings, as well as smaller-scale bank and specialty retail stores, major hotels including apartment hotels, club buildings and entertainment facilities designed by leading local architects. During this era, the original residential district was entirely absorbed by commercial and other real estate development. By 1930, virtually all of the old residential properties - as well as many of the immediate post-fire era commercial buildings outside of Pioneer Square - had been demolished or removed. While the original residential district was almost entirely composed of single-family homes, it did grow to include several meeting and fraternal halls and numerous churches. This pattern continued despite ever-increasing commercial real estate development throughout the early decades of the twentieth century. Several major new churches, fraternal halls and club buildings - typically designed by leading architects – were constructed in the commercial district during this era, In early 1928, Noel B. Clark attempted to promote the establishment of a major new athletic club. In March 1928, the commission for the design for a 12-story athletic club building to be constructed at Sixth Avenue and University Street was announced. The anticipated construction cost was $1,000,000 and the initial design was credited to a little-known architectural firm of Baker, Vogel and Roush; however, this initial project did not proceed due to insufficient financial backing. The concept for a downtown athletic club then began to be seriously promoted by Edward B. Waite and Jules Charbneau. After some effort, they were able to involve Mr. W.E. Comer, the financier for the Music Box Theater and the Olive Tower apartments. Mr. Comer agreed to finance the construction of a suitable club building provided that there were at least 2,000 business and professional men interested in membership. Within 90 days, Waite and Charbneau had signed up 2,600 members. By September 1928, architect Sherwood Ford published his initial design concepts for the proposed new building. Reportedly, he traveled to the east coast and California to study athletic club buildings in Minneapolis, Chicago, Detroit and Philadelphia in order to become familiar with the latest building designs of this type and their interior arrangements. By January 1929, the final plans were being prepared for the construction of a tower structure some 20-stories in height and costing $2,000,000. The construction budget and the building height both appear to have been adjusted over the following four months. The final exterior design was executed in an elaborate and ornate Art Deco style with a dramatic stepped back tower. Retail storefronts were included at the street level with the remained of the building devoted to extensive club facilities. The clubhouse included an ornate main lobby, library and lounge areas that were decorated with ornamental plaster, marble and southern gum wood cabinetry and trim. The architectural plans included a ladies lounge, main dining room, a ladies dining room, seven private dining rooms, a ladies bridge room, a bowling alley, gymnasium, two- story space for a large swimming pool, billiard room, handball courts, locker rooms, as well as a kitchen, beauty parlor, barber shop and 113 guest rooms. The formal opening of this massive clubhouse was on December 16, 1930; it the last major highrise building to be completed as the Great Depression sank in. Only a few months after the club opened it was threatened with closure due to failing local economic and business conditions and a drop in membership. Civic leaders and community members stepped forward to insure sufficient membership numbers and income, and the club was able to continue in operation. The club was able to weather the depression because it had a program for every member of the family. For men there was bowling, swimming, volleyball, handball squash, badminton and monthly “smokers’ and speaker’s dinners. The women’s program included a Friday morning lecture series, a course in interior decorating, dramatics, swimming, tap dancing, calisthenics, bridge luncheons and lessons and fashion shows. For children there were swimming lessons, boxing, calisthenics, holiday parties and summer programs. Helene Madison was the Washington Athletic Club (WAC) member to become a famous Olympic athlete after wining three gold metals for swimming at the 1932 Olympic Games. In the 1940s, the WAC reciprocated for prior support from the community by mobilizing a significant number of members to work on behalf of WWII war efforts. In their “Victory Center” – which took up the entire seventh floor level - women members sewed, knit, spun and weaved and made surgical dressings In 1945 the ownership of the clubhouse building was transferred to the membership at a price of $1,350,000. By 1950, the WAC was recognized as one of the most progressive and well equipped athletic clubs in the nation, employing some 300 people and serving between 1,200 and 1,500 meals a day. In 1954, the clubhouse was expanded with a four-story addition designed by Bain and Overturf and built under the supervision of general contractor Howard S. Wright and Co. The addition was designed to accommodate a total of twelve stories and included a 400-seat auditorium, a new dining room, and a below-grade parking garage. The modern curtail wall façade with glass doors contrasted with the original Art Deco exterior treatments. A new entrance lobby was designed and the old entryway enclosed. Within the old entry lobby the original open second floor level balcony was closed over. As envisioned, in 1970 an addition eight stories were added to the 1954 wing and the entire interior was further modernized. The building exterior has been slightly altered due to the entryway change and window replacements and interior spaces - with only a few exceptions - have been repeatedly remodeled and updated to accommodate evolving club facilities, programs and design trends. The Washington Athletic Club was designed in 1928 by Sherwood D. Ford (1872-1948). Ford is best known for his theater, apartment and hotel projects. He was born in England and came to Seattle in 1907 after working as an architect in Montreal and Boston. He worked with fellow Englishman, John Graham, Sr., from 1907-1914. From 1914 to 1916 he took over Graham’s projects while Graham was working in Detroit for the Ford Motor Company. Sherwood Ford practiced independently after 1917, designing this building, the Cambridge Apartments (1923) and the Marcus Whitman Hotel in Walla Walla (1927) and the Mayflower Theater (1928, Music Hall, destroyed). William James Bain, Sr. (1896-1985) began his architectural education in 1915 as an apprentice for W.R.B. Wilcox, Arthur Lovelace and other Seattle architects. After serving in France during WWI he enrolled at the University of Pennsylvania and obtained an architecture degree. He returned to Seattle where his practiced for himself and in several partnerships with others – including Lionel Pries – primarily designing residences, apartment and sorority houses. From 1941 to 1943, he worked with J. Lister Holmes and others on Yesler Terrace, an innovative low-income housing project. In 1943, he joined with architects Floyd Naramore, Clifton Brady and Perry Johanson to form Naramore, Bain, Brady & Johanson in order to handle several large government projects during WWII. Now known as NBBJ, the partnership went on to design a wide variety of commercial, industrial and institutional buildings for which they have an earned considerable local, national, and even international prominence and attention. In 1947, Bain formed a partnership with Harrison Overturf that continued until 1970 and enabled him to work on smaller residential and commercial projects. This is a fairly well- preserved highrise Art Deco tower design and a highly unique clubhouse building located within the commercial core. It is particularly significant due to its architectural character and its continuous use as an athletic club facility. Prominently located at the SE corner of Sixth Avenue and Union Street, this 21-story building was designed and constructed to serve as a private athletic club, purposes for which it continues to be used. The original design included retail stores oriented toward Union Street that also remain in use. The original 1930 building measures 120’x 115’ at its base and is functionally interconnected to a modern non-historic 12-story addition. The original building exhibits a highly distinctive two-part vertical block façade composition, Moderne high-rise architectural design character and classically-derived terra cotta ornament. The modern addition (constructed 1954 and expanded in 1970) measures 60’ x 120’ and is interconnected at the original south elevation. It functions as the main entry to the entire club complex and is relatively non-intrusive, exhibits a modern minimalist design mode with somewhat complementary materials and details. The interiors of both the original club building and the modern wing have been repeated remodeled since construction; however, some historic building fabric and features remain in place. The reinforced concrete and steel structure includes a concrete foundation and basement and is primarily clad with buff-color brick. The brick cladding is accentuated throughout the multiple prominent faces at the base, shaft and tower by buff-color and salmon-color terra cotta and pressed stone ornament and trim. The principal façade is oriented toward Union Street although the formal club entry has always been off of Sixth Avenue. The complex building form is composed of a three-story building base with a seven-story shaft above which is a stepped-back tower that measures 68’ x 74’ and extends from 10th through the 19th floor. The top two floors (20th and 21th) are further stepped back and measure approximately 63’ x 63 feet. The shaft of the tower is flush with the building base and lower shaft at the Union Street elevation. The building base extends three floors and is accentuated by a wide intermediate cornice. At the Union Street façade it is divided horizontally between the retail storefront level and 2nd and 3rd floor club rooms and uses. The storefront level is clad with copper-brown (with white highlights) terra cotta panels and the five original display/storefront openings had fluted terra cotta surrounds and gray-black granite bulkheads. The display windows originally included copper sash. Several of the original storefronts remain in place and at least one (at NE corner) appears to remain intact and virtually unaltered. The installation of varied modern awnings has altered the Union Street storefront level. The fenestration and bay spacing at upper floors of the base reflect internal club uses. Four round-arched, two-story window openings with ornate surrounds and keystones are located at the wide central bay and originally lit the men’s lounge room. [Construction drawings indicate that they may have originally included stained and leaded glass windows that are no longer in place.] The bay to each side of the arched windows includes two-story recessed window openings with recessed decorated spandrels that correspond with the shaft and façade composition above. Ornament includes decorated keystones, medallions, baskets of fruit and human images. An ornate intermediate cornice band wraps the top of the base and is inscribed with a “Washington Athletic Club” sign at the center of the Union Street elevation. At the Sixth Avenue elevation, which is at a sloping grade, the building base includes two storefront display windows and terra cotta cladding. The original entry vestibule was located at the south end of this elevation; its location can still be distinguished by the presence of a terra cotta inscribed “Washington Athletic Club” plaque within the broad intermediate cornice. The ornate arched opening was infilled and replaced by a flush brick wall and faux terra cotta panels when the initial modern addition and entry lobby was constructed to the south in 1954. The remainder of the base at this elevation includes two-story recessed window openings with recessed decorated spandrels that correspond with the shaft and façade composition above. The Union Avenue façade is dominated by the central stepped-back tower that rises to 21 stories and is flanked to the east and west by the lower seven-story shaft above the building base. The entire façade is divided by two major vertical piers located one bay in from each corner of the tower and extend from the top of the base to 19th floor level. The tower bay is further divided by four bays of windows divided by stepped interstitial piers and window mullions that extend to 19th floor level. The piers are all capped by varied terra cotta panels and ornament including eagles at the major piers and floral cresting, chevrons and human images at interstitial piers. To each side of the face of the tower is a single outermost bay with recessed windows and spandrels that run from the 9th floor to the 17th level. The vertical thrust and rhythm of the piers is accentuated by recessed windows, decorated spandrels and ornate and arched window openings and panels between the 4th and 8th floors and at the 16th floor level. The east and west bays at the Union Street façade extend seven-stories above the building base. They are each divided into four bays of recessed windows divided by stepped interstitial piers and window mullions that extend to 10th floor level in the same pattern as the tower bays. The vertical thrust and rhythm of the lower portions of the shaft is accentuated by recessed windows and decorated spandrels and ornate segmental arched window openings and highly decorated spandrels at the panels at the 8th, 9th and 10th floor levels. The vertical piers at the lower shaft are all capped by varied terra cotta panels, ornament and coping elements. The east, south and west elevations of the tower rise above the roofline of the base shaft and exhibit the same major pier configuration, fenestration and ornamentation patterns as the Union Street façade. At the 18th floor level the tower steps back at each corner to align with the major structural piers at each elevation creating a notch at each corner of the tower. The corner piers and parapet at the 19th floor level are also slightly set back to further accentuate the cap. Terra cotta cresting, coping members and ornament decorate the parapet and 20th floor roofline. The east elevation of the base shaft exhibits the same major and interstitial pier configuration, fenestration and ornamentation patterns as the side bays at the Union Street faced with a few exceptions. A two-story arched window is located at the north end of the 7th floor level [which originally lit the swimming pool level]. The continuous parapet edge that is accentuated with terra cotta decorated pier caps is further accentuated and stepped at the southern end of the façade. This feature corresponds with the location of the original entry vestibule that was directly below at street level. The west elevation at the alley side of the building is utilitarian in character, has a flush brick wall and does not include any of the distinctive fenestration or ornamentation patterns Most of the current 1/1 double-hung windows appear to be original or closely matching. The larger ornamental windows at the façade and east elevation have been altered and changed from what was designed or originally constructed. A brass plaque in commemoration of Mrs. Hannah Newman, the original land owner, is located at the base of the east elevation. The great majority of the original interior spaces have been entirely altered and modernized. The main lobby, library and lounge areas were originally decorated with ornamental plaster, marble and southern gum wood cabinetry and trim. The lobby space continues to include distinctive maarble finishes and ornate elevator doors. Portions of original wood cabinetry, doors and hardware remain in the main floor lounge and the original library space appears to be very well preserved with intact wood paneling,shelves and ornate plaster ceiling. The original architectural plans also included spaces designed for a ladies lounge, main dining room, a ladies dining room, seven private dining rooms, a ladies bridge room, bowling alley, gymnasium, swimming tank, billiard room, handball courts, locker rooms, as well as a kitchen, beauty parlor, barber shop and 113 guest rooms. Of these spaces only the swimming pool (and its balcony) remains mostly intact and still in its original use. City of Seattle DPD Microfilm Records. Seattle Inventory Field Form, Office of Urban Conservation, 1979. "Washington Athlectic Club Surpasses Founders' Dreams" Seattle Times, November 4, 1951. "Contracts Awarded for Club Addition" Seattle P.I. June 6, 1954. "Washington Athletic Club" Washington State Architect, September 1928. 'Washington Athletic Club History Parallels that of City" Seattle P.I., October 10, 1948.